Now that you have the Panasonic GH4, it’s time to choose your first lens. The first lens I picked up for the GH1 (the GH4’s great-grandfather) was the Canon FD 50mm f/1.4 (chrome nose). It required an adapter, was soft wide open, heavy, and fully manual, making focusing on subjects slow and tedious. I shot exclusively on the GH1 with that lens, and I don’t regret a single minute of it. I learned several valuable lessons from that experience, not only about the importance of selecting the right lens for the job, but also what’s possible with a single lens. Thankfully, the Canon FD 50mm turned out to be great lens and I still shoot with it today. That said, a heavy metal manual lens from the 1970’s is not what I would generally recommend as your first lens for the GH4 unless you really know what you’re getting into (I rebuilt old Canon AE-1’s in high school). Here are the lessons I’ve learned to help you choose your first lens for the GH4. 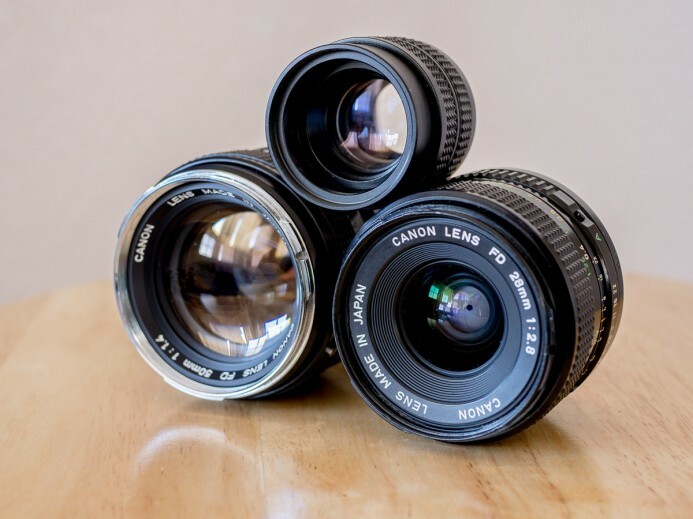 The first lens you get could also be the only lens you’ll have for a while, so it must be versatile so that it will be well-suited for a variety of projects. The key things to consider when evaluating a lens’ versatility are focal length, aperture, and usability. A versatile focal length will provide a good variety of framing options. It should be wide enough to for both exterior and interior shots. The focal length should also be long enough to avoid strong perspective distortion that will elongate your subject’s features (nose, chin, brow, etc.) when you move in closer for interviews, etc. Based on these factors, 25mm is the most versatile focal length on the GH4. A 25mm lens is wide enough for establishing shots of landscapes and gives you good options for shooting interiors. It’s also long enough that people appear natural and realistic without any strong perspective distortion. You can choose similar focal lengths like 24mm or 28mm, but 25mm is the sweet spot. 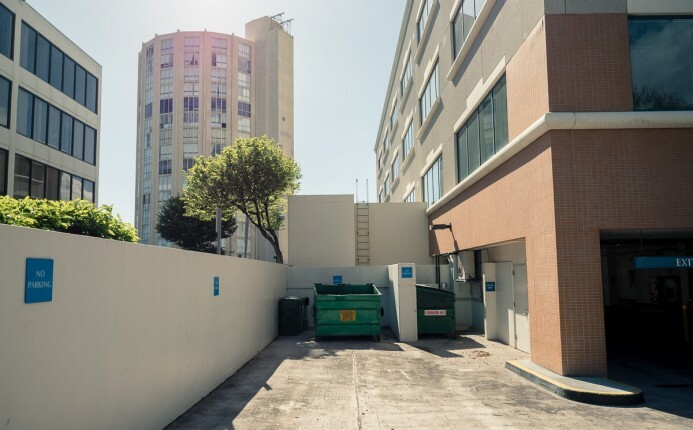 Going to 20mm and wider will introduce noticeable perspective distortion, while 30mm and longer focal lengths make it difficult to fit your subject in the frame, especially in tight quarters. First, a larger aperture allows more light in for better low-light performance. This allows you to shoot in a wider variety of environments without underexposing the image or introducing additional noise by increasing the ISO. Second, a wide aperture provides a shallower DOF, which is useful for isolating the subject from the background. This helps direct the viewer’s eye to the important parts of a scene. This guide is primarily for video shooters, but the GH4 is also a great stills camera, so a versatile lens is one that will work well for both video and stills. When shooting video, manual focus is your weapon of choice, so the lens must have a nice smooth manual focus ring. If the focus ring is sticky or loose, then manually focusing when shooting video will be an exercise in frustration. For stills, autofocus makes focusing quick and easy. Manual focus is fun and great for learning, but you’ll also miss some shots. When you’re trying to capture a moment, AF is very useful. Bottom line: A versatile lens for the GH4 is a fast 25mm with AF. Great lenses are awesome, but what you really want is a good lens for your first lens. The difference in image quality between a good lens and a great one can be tough to discern, but the difference in price is clear as day. A good lens is reasonably-priced, while mere mortals would be struck dumb by the price of a great lens. A good lens does not have any major flaws, it just may lack exotic glass elements or specialized features of a great lens. In other words, despite the lower pedigree, you can do great work with a good lens. Bottom line: A good lens will get the job done 99% of the time. Wait until you really know what you need before splurging on a “great” lens. Perhaps most important thing of all is to get a lens that inspires you. This is the key to staying motivated to keep on shooting and grow. There are several ways that a lens can inspire you, but the best way is to get a lens that challenges you. You have more potential for growth when you’re new to shooting than at any other time, and just like a muscle, you need to be challenged to grow into a better shooter. This is what makes a prime lens a great first lens. The convenience of a zoom lens encourages you keep your distance and twist a ring, whereas a prime lens’ single focal length forces you get into the action and actively seek out interesting angles and composition. Don’t waste this opportunity to grow on a lens that doesn’t challenge you. Bottom line: Zoom lenses are easy and convenient, but a prime lens will help you grow and develop your skills much faster. Now you know what you should be looking for as your first lens for the GH4– a good 25mm prime lens that is both fast and affordable. That’s a tall order, is there a lens for the GH4 that meets all of these requirements. 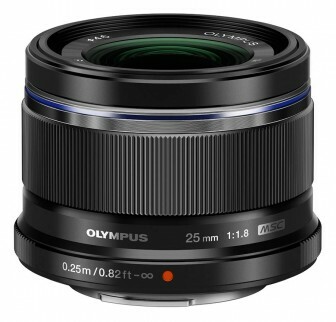 Say hello to your first lens: the Olympus 25mm f/1.8. It’s versatile — 25mm focal length, a wide f/1.8 aperture, fast AF, and a smooth manual focus ring. It’s good — At under $400, this lens’ solid optical performance and build quality makes it affordable while still delivering the goods. It will inspire you — The lens’ fixed focal length will inspire and challenge you to find new ways to craft interesting images without the convenience of a zoom ring. Here’s the thing: if you stick with this for a while, you’ll likely pick up several lenses along the way. Your first lens is an important decision because it will inform your next lens acquisition. Once you’ve shot with your first lens for a while, you’ll have a much clearer idea of what kind of lens you should get next. That said, you will learn something new from every lens you shoot with, so don’t waste too much time obsessing over the different options. Pick up the Olympus 25mm f/1.8 today for the GH4 and get shooting! Panasonic GH4 — You have to get the camera before you can use the lens. 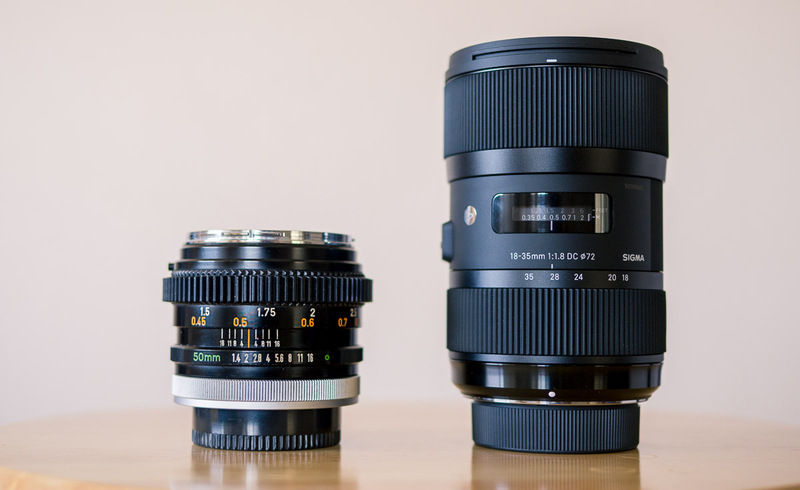 Olympus 25mm f/1.8 — One of the best lenses to start with on the GH4. 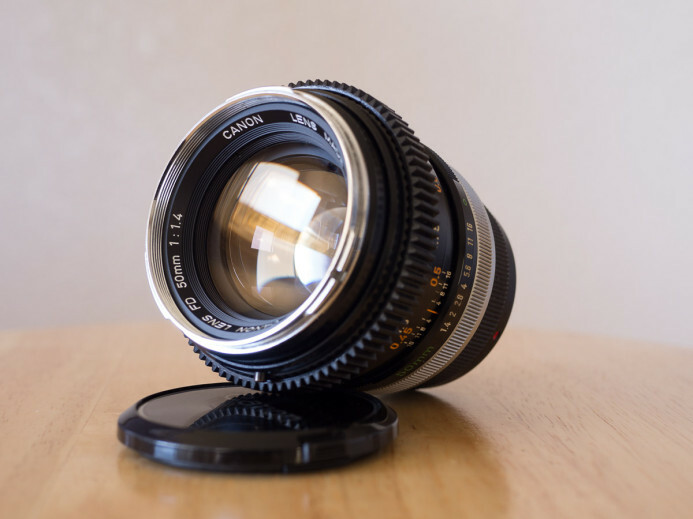 Canon FD 50mm f/1.4 (with adapter) — My first lens. Should it be yours as well? Perspective Distortion — Learn more about how a wide-angle lens can affect a shot.